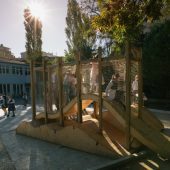 Dalga/Wave was made by MEF University Faculty of Arts, Design and Architecture first year students between 3-21 July in Türkan Şoray Primary School backyard at Istanbul Sarıyer Rumelihisarı neighbourhood. The project started with the idea of designing a flexible and multipurpose playground for the children. 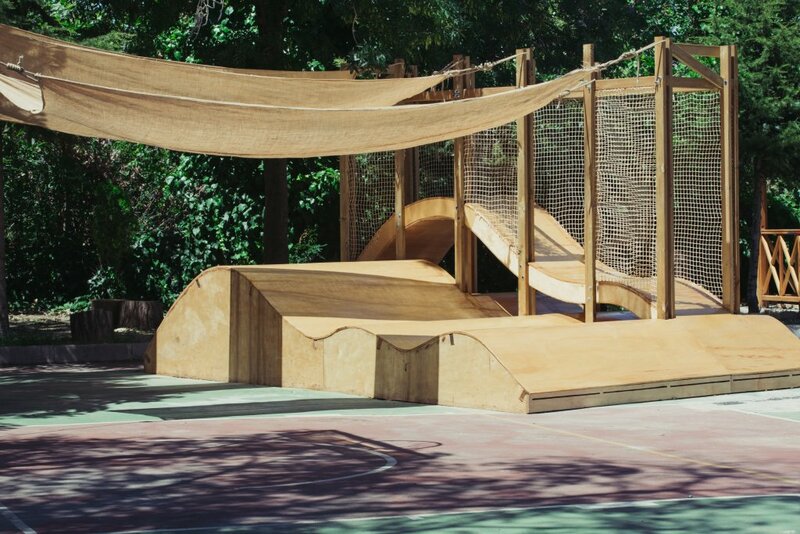 This idea was implemented by placing surfaces with differentiated slopes and heights in relation with each other in order to host creative, undefined and diverse play by the children. The project is located at a point where people are visually linked to the strong entrance of the backyard, the edge of the landscape and the concrete surface to connect different environments. The project was designed in two weeks by MEF University student with help of the supervisors. They considered the school administration’s needs and observed students’ usage of backyard and needs. It was constructed with the help of Sarıyer Municipality. 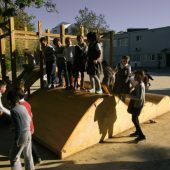 Considering the existing flat and wide playground of the school and its monotone usage, differentiated sloped and heights were used in order to facilitate different acts: running, sliding, climbing, sitting, chatting and all other new creative acts by students with help of the different relationships of different surfaces. The “Wave” surfaces that rise from the ground are constructed with wood. High areas are covered by nets to provide a secure environment for the children. 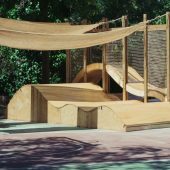 Three different waves are created by cutting sections from plywood to give the desired form, then reinforced with 5*10cm sectioned timbers in opposite direction and finally covered with flexible plywood. Additionally, after preparing the higher wave with the same method, it is hung in a wooden cage by 50x100mm sectioned timbers to provide security and closed with nets partially to provide circulation from over, under and sides. 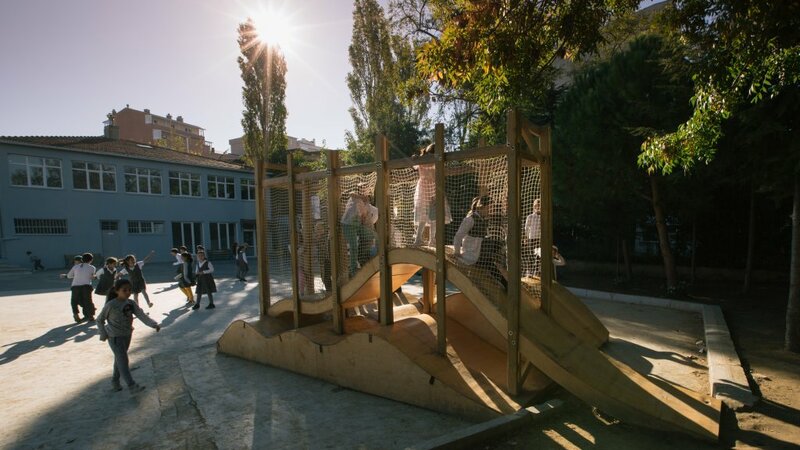 The result is a flexible playground which can act as both partial or one connected area designed for the children of the school. 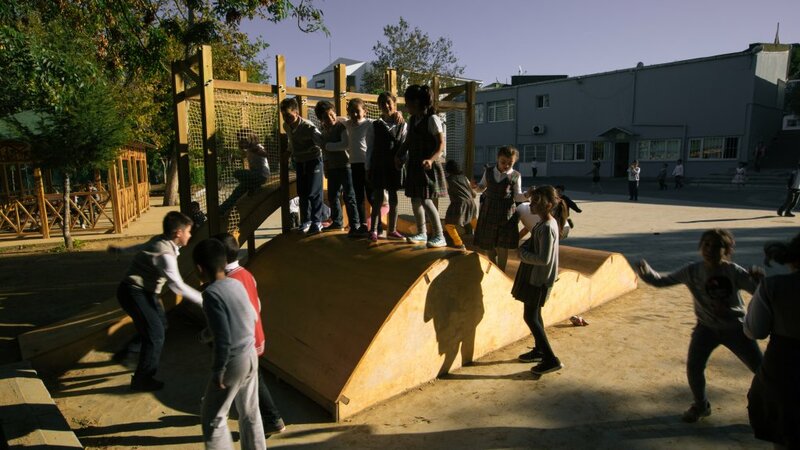 Research Question: Designing a play-space that is open to creative and diverse use by the primary school students and able to offer an open air focal point for performances.